Lunch at Mooncat, south side of Lime just east of Myrtle. Japanese food. 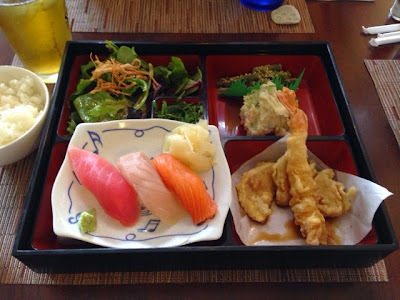 Got the sushi and tempura bento box ($12) and an iced oolong tea ($3.50). Came with miso soup and rice. Very nice.